Seguro Nonslip Surfaces is about safety first through quality anti-slip products and excellent customer service. Our care for the environment is expressed through the leading technology and products we use everyday and our involvement with initiatives to improve the socio-economic environment in which we find ourselves. The company is serious about safe homes and workplaces, and about making life comfortable and secure for individuals, children, pets and professionals. We use only the highest quality products. Our surface treatments have been extensively tested in Europe and complies with EU directives and standards. We are committed to environmentally friendly and biodegradable products and processes. Seguro is committed to remaining at the forefront of technology, quality and service. The company was formed by businesswoman and dog-lover Cynthia Mundy, whose inspiration for the company’s social responsibility program came via Bennie, her mother’s Doberman Pinscher. 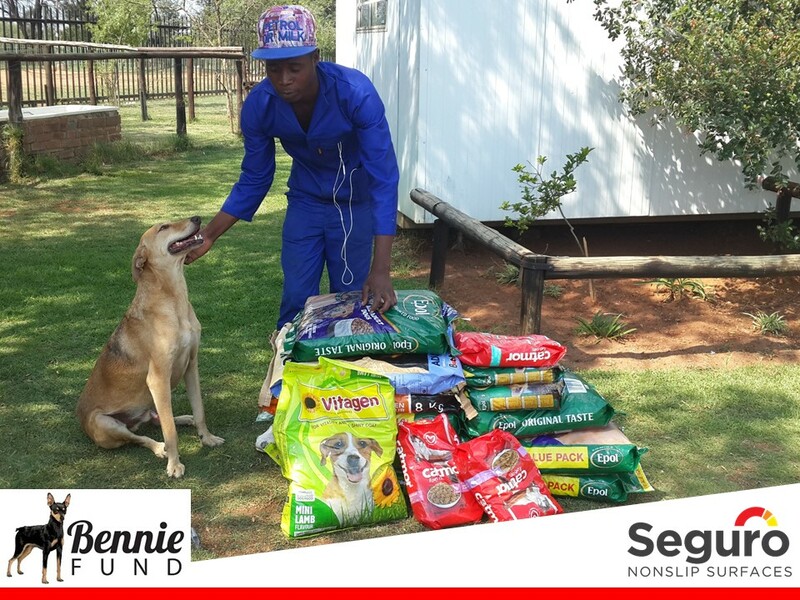 In memory of Bennie the Doberman Pinscher, Seguro proudly allocates a percentage of the company’s profits to animal welfare organisations and initiatives.